Filipinos are well-known for their youthful appearance and soft, wrinkle-free skin, even though they live in a climate that exposes them to the sun’s rays year round. Skin cancer is basically unknown in the Philippines, even with all of their exposure to the tropical sun. Since coconut oil is their main dietary oil, and is also the main ingredient in their skin care products, one must take a closer look at how Virgin Coconut Oil provides skin health. 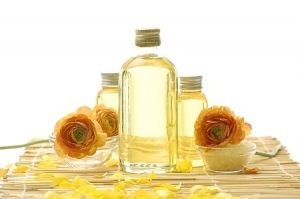 Coconut oil’s ability to nourish and heal the skin has been known in the tropics for hundreds of years. 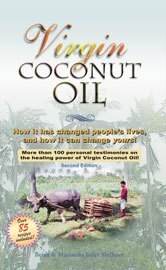 Even when the anti-saturated fat campaign waged in the US convinced many even in coconut oil producing countries to switch to polyunsaturated oils, Filipinos and others never stopped using coconut oil on their skin because they knew about its wonderful moisturizing and healing powers for generations. As a saturated fat consisting primarily of medium chain fatty acids (MCTs), it is not easily oxidized and does not cause harmful free radical damage like polyunsaturated vegetable oils. Most commercial skin care products in the US today are made from polyunsaturated oils which oxidize and turn rancid very quickly causing free radical damage in the skin. There is good evidence that this is not only true for external applications, but also holds true for the oils one consumes. One of the main reasons that we experience so many skin problems in the US today is a switch in our dietary oil. Our forefathers consumed primarily saturated fats, but most people today consume polyunsaturated fats and trans fatty acids. You’re right Liz, I deal with this same stubborn yeast/fungal thing, especially in the summertime. While waiting for my second order, I’ve been reading the research reports in the archives over and over as if just knowing the information would help me with my own physical problems. But this week, I am a believer from experience! One of the big problems with skin yeast and fungal infections is that clothing tends to rub absorb or else rub off the expensive medicine after application. This time, I wasn’t looking forward to applying the strong liquid prescription to it because the kind I have stings–big time–when it hits the red, angry, sore area of the yeast infection in the skin folds. I had some Virgin Coconut Oil left in a small jar which I was using for smoothing on after a shower. I took that out and just slathered it on. Instantly the pain was soothed away, and for the moment anyway, that was enough. By the end of the day, I could tell that the coconut oil was doing more than just relieving the soreness–the rash was breaking up a little, and there were some small clear areas where before it was just solid red soreness. I applied the coconut oil twice a day, and in three-four days, the whole area is mostly pink and clearing. And it isn’t staining clothing, either! For other studies related to coconut oil and skin health, including how it has been studied in treating wounds and how it is used in India with new born babies in neonatal care, see CoconutOil.com where research is constantly updated . So before you spend money on expensive skin care products, you might want to consider trying coconut oil for skin health! 1 . Novel antibacterial and emollient effects of coconut and virgin olive oils in adult atopic dermatitis. Dermatitis. 2008 Nov-Dec;19(6):308-15. Verallo-Rowell VM, Dillague KM, Syah-Tjundawan BS. Skin and Cancer Foundation, Pasig, Philippines. 2. Antimicrobial property of lauric acid against Propionibacterium acnes: its therapeutic potential for inflammatory acne vulgaris. J Invest Dermatol. 2009 Oct;129(10):2480-8. Epub 2009 Apr 23. Nakatsuji T, Kao MC, Fang JY, Zouboulis CC, Zhang L, Gallo RL, Huang CM. Division of Dermatology, Department of Medicine, University of California, San Diego, California, USA. ©2011 Health Impact News Daily – All Rights Reserved. Permission is granted to reprint or republish this article provided all the links and content are kept in tact, and a link back to Health Impact News Daily is provided.